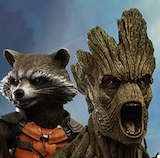 Angry Koala Gear: New AVENGERS Covers Released! Marvel NOW! 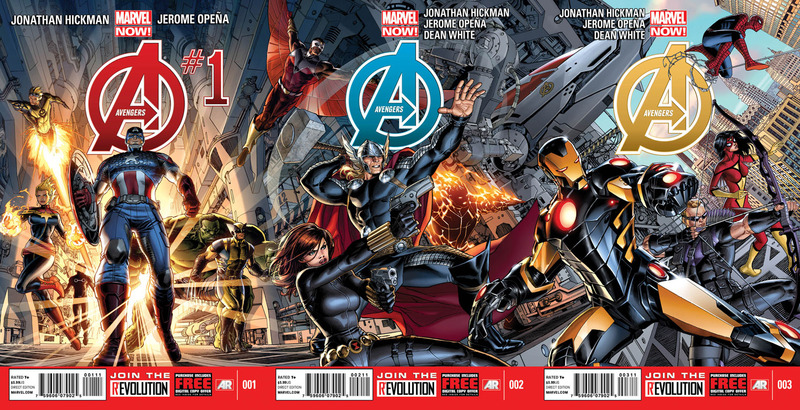 – Hickman & Opena’s AVENGERS Covers Revealed! Marvel is pleased to present your first look at the jaw dropping covers toAvengers #1, Avengers #2 & Avengers #3 by superstar artist Dustin Weaver! This December, the most popular heroes in comics together on one unbeatable team, twice a month – only in Avengers! From the blockbuster creative team of Jonathan Hickman and Jerome Opena, the Avengers “go large,” expanding their roster and their sphere of influence to a global and even interplanetary level. When Captain America puts out his call - who will answer? Each issue of Avengers includes a code for a free digital copy on the Marvel Comics app for iOS and Android devices and in the Marvel Digital Comics Shop. Additionally, each issue of Avengers features special augmented reality content available exclusive through the Marvel AR app – including cover recaps, behind the scenes features and more that add value to your reading experience at no additional cost. Big threats, big ideas, big idealism - these are the Avengers NOW! This December, Jonathan Hickman and Jerome Opena redefine what it means to be Earth’s Mightiest in Avengers #1!